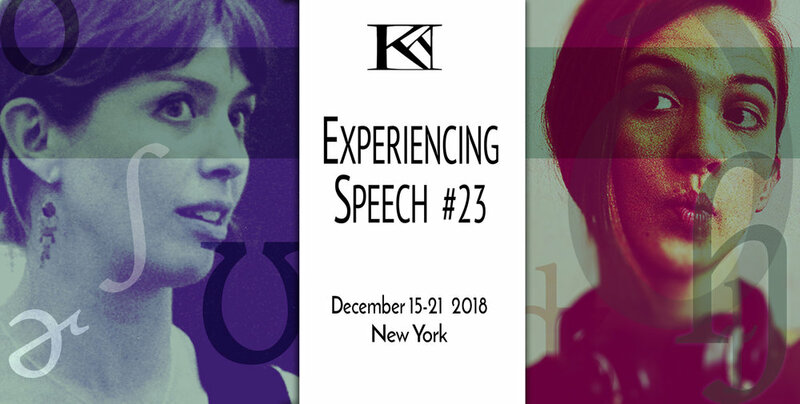 I will be teaching the Knight-Thompson Speechwork workshop, Experiencing Speech, with Eliza Martin Simpson in NYC from December 15th to December 21st. Experiencing Speech is a 6-day introduction to Knight-Thompson Speechwork (KTS). In this workshop, we will cover vocal anatomy, all the sounds of the world's languages, the physicality of speech actions, an introduction to descriptive phonetics, and the skills of adjusting linguistic detail in speech. More information and registration is available here. Join us for the whole time - or just Part One or Part Two!